Soaring Tree Top Adventures is the largest, longest zip line tour in the world, with 27 zip line spans. Soaring has been rated the best zip line in the U.S., and the #1 Tour and #1 Attraction in the U.S., #1 Tour and #1 Attraction in Colorado, and #1 Tour and #1 Attraction in Durango for several years in a row on TripAdvisor.com. Our Durango zip line is fun and safe for the whole family - ages 4 to 94 have experienced the thrill of Soaring Tree Top Adventures' zipline. 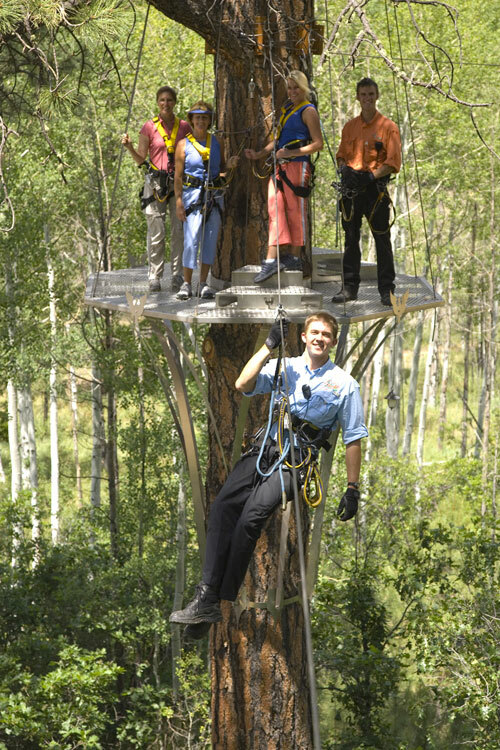 Of all Durango activities, Soaring Tree Top Adventures is one of the best things to do in Durango, CO. The all-day adventure package at Soaring Tree Top Adventures includes round trip train transportation in Soaring's private, first class train cars on the historic Durango & Silverton train. Upon arriving to Soaring's remote property in the northern mountains of Durango, CO, guests are greeted by our zip line Sky Rangers, or guides. From there guests experience the thrill of ziplining, including our 606' racing ziplines, 10 spans that criss cross over the Animas River, our 1400' longest zipline span, and some other special elements in the trees. Guests also receive a four course gourmet lunch served in the trees on a platform overlooking the Animas River and an ecology tour interspersed throughout the zip line day by our naturalist team. If you're looking for some great summer bucket list ideas and one of the most fun things to do in Colorado, Soaring Tree Top Adventures needs to be on your list of Colorado vacations! Reservations are required. 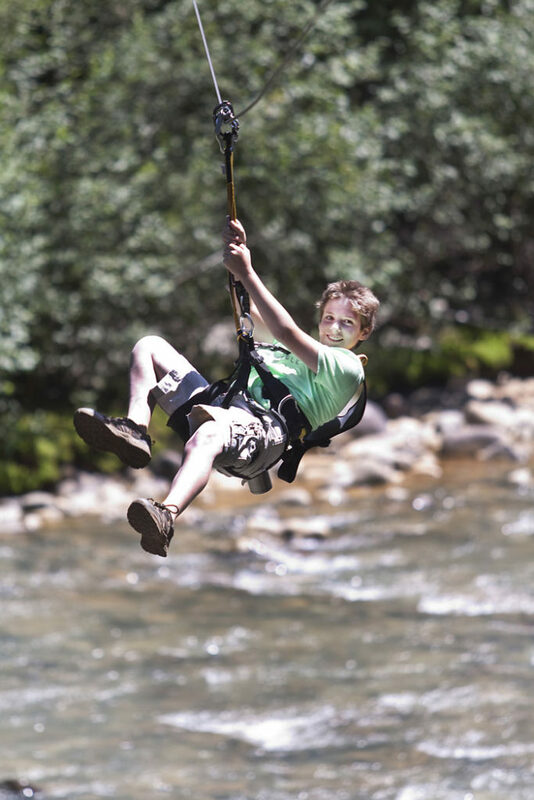 Our Colorado zip line operates mid-May through mid-October.